One: I put stoppers on the reins between the bit and the ring, because this one time (at band camp? ), the ring slid all the way to the bit and hung up. My poor horse was then trapped with the martingale ring right up on the bit. Naturally, this was not a very comfortable position for the horse and because it was a youngster, the potential for equine panic was high. Fortunately, everything ended peacefully, and an equipment change was called for: rein stoppers! In the photo above, on one rein I am using a neoprene bit guard with a Velcro fastener as the rein stopper. On the other, I lost the bit guard (Velcro fell off or something), so I cut up a hoof boot pad I wasn’t using. My cut job was imperfect, probably because I did it with my pocket knife, and I had to apply some duct tape to make it work. 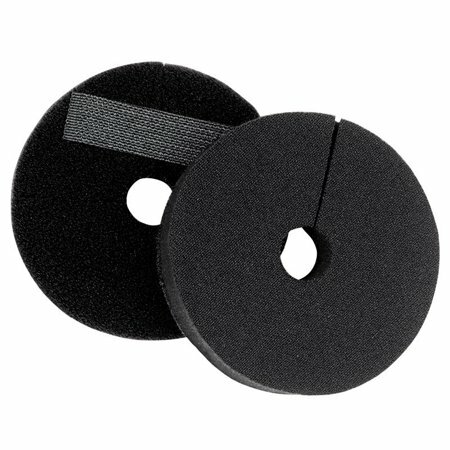 Neoprene bit guard with Velcro (which can double as a rein stopper) 3.99 on the Walmart site and only 5.09 shipping. I have also seen people cut up old garden hose. Or, you can just buy reins that are already set up. Two: I tie the neck piece to saddle because this one time (at band camp? 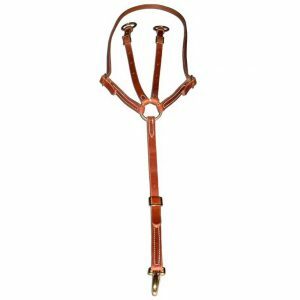 ), I was lunging my horse with the martingale on, and she put her head down and started bucking. That neck piece slid right up to her poll and when she tried to get her head back up, she was, yes, trapped. The neck piece unstuck, but another adjustment was in order. 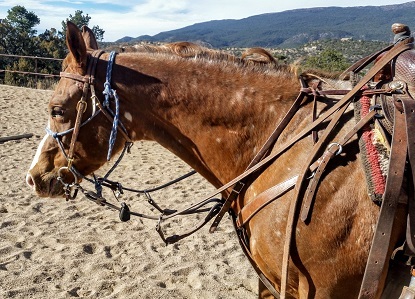 I do like the running martingale better than a simple training fork (= running martingale without the neck strap; or maybe a running martingale is a training fork with a neck strap? = “Texas Training Fork” on one website I saw.) because without the neck strap, if you drop the reins, the training fork goes right down, too. Also, when you are done riding, you have to take the simple training fork off before leading the horse anywhere, which is just a pain.